Verywestham: Yarmolenko, Anderson, Wilshere...Back to the Future? Yarmolenko, Anderson, Wilshere...Back to the Future? West ham have had a remarkably busy transfer period so far this Summer, with 7 major recruits. While you might debate the extent to which supporter unrest has contributed to the Pellegrini cashsplashing revolution, having a 60,000 stadium at very attractive rent does create a cash rich wealth that is needed to progress up the Premiership rankings. However, its not all about money! 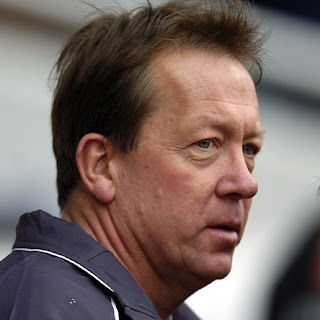 In the Summer of 2007 Alan Curbishley was allowed to blitz the transger market and signed a host of desirable players including Scott Parker, Craig Bellamy, Kieron Dyer, Freddie Ljungberg and Julien Faubert. Sadly, only the first two on the list delivered on their billing with Ljungberg and Dyer especially costly mistakes. Was Curbishley to blame? Interestingly, he had an excellent managerial record prior to that but clearly somebody lost the run of themselves. Soon after West ham were in serious trouble as the Icelandic consortium were bankrupted and the club endured its closest ever brush with a humiliating demise. Thankfully, the ship was steadied and soon after the Davids rolled into town bringing a much smarter financial philosophy that has pushed West ham into the top 20 richest clubs on the planet. Hopefully this season is tge one when tge club can push on. Let's hope its not another false dawn like that of 2007!